During his visit to China, Minister Sutanovac stated today that after signing a 500000 EUR worth donation agreement, both countries could say that there is a very solid and successful cooperation with room to improve the relations between the two countries. After the talks both ministers signed a 500,000 worth agreement for the donation of IT equipment. Before visiting the Chinese Ministry of Defense, Sutanovac visited 24th aviation division in Tjengin, where a flight programme was given for the guests from Serbia. The delegation of the Ministry of Defense is the first among foreign delegations to have seen the maneuvers and capabilities of the Chinese multipurpose jet J-10 which was introduced several years ago. We saw the Chinese jet J-10 as one of the top planes in the world. 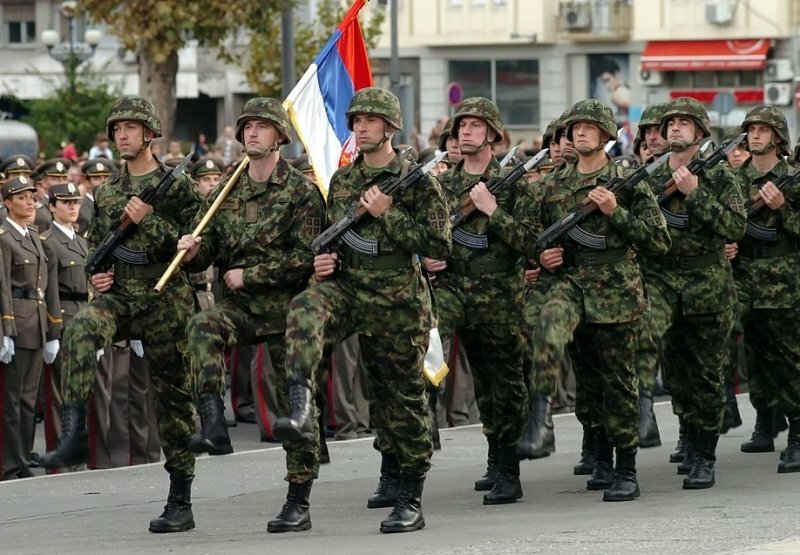 China has thus proved that it is capable of manufacturing the most sophisticated military equipment in the world that can be used in Serbia but also to offer it to other countries which have traditionally bought weapons from Serbia. Soon, as he announced, four Serbian officer will leave for china where they will continue their studies while we will receive two Chinese officers in Belgrade, where they will attend the Command staff college and learn the Serbian language. Serbiens Luftstreitkräfte sind im Wandel. Ihre neue Verteidigungsstrategie zielt auf Kampf gegen den Terrorismus und die Beteiligung an internationalen Missionen. Gleichzeitig hofft das jahrelang isolierte Land auf die Möglichkeit, der NATO beizutreten. Die Serben stellen einen neuen Kampfpanzer her. Das System gefällt mir vom Konzept her sehr gut, und scheint mir die bessere Umsetzung der ursprünglichen Idee von Armata zu sein, beispielsweise hat der serbische Panzer die seitliche MK welche beim Armata jetzt weggefallen ist. Zitat: A concept of the Russian Armata-like “Serbian tank of the future”, the М-20UP-1, has reportedly been presented at the Partner 2015 military exhibition in Belgrade. Serbia has presented a concept of the М-20UP-1, the country’s “tank of the future”, at the Partner 2015 military exhibition in Belgrade. Designers said that they were inspired by the Russian-made Armata tank when developing the М-20UP-1, according to the Serbian news website Vecernje Novosti Online.The project cost of the production of one M-20UP-1 stands at five million euros. Goran Stojanovic, head of the working group to develop the tank, said that the М-20UP-1 will not compete with the Armata tank. “Our tank will be closer to the [Russian-made] T-90 tank in terms of combat capabilities. We are short of money, and our economic potential is not developed enough to let us compete with the Russians. But by using a design [resembling] those of advanced tanks across the world, we have developed the weapon of the future: cheap, modern and efficient,” Stojanovic said. As in the T-14 Armata battle tank, the М-20UP-1’s crew of three is securely enclosed in a multi-layer armored capsule, separated from the ammunition container. 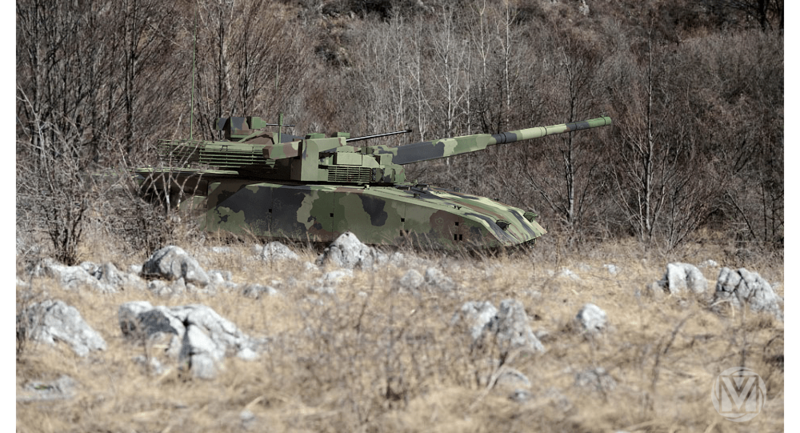 The Serbian tank also features an unmanned, digitally controlled turret, which is remotely controlled by a crew member located in the aforementioned capsule. The tank’s 125mm smooth-bore gun is also digitally operated from the capsule via high-resolution cameras. The turret carries a total of 48 rounds of ammunition, including ready-to-use ones. The gun can also fire laser-guided missiles.The М-20UP-1 is equipped with electric transmission, which engineers said will help significantly reduce the power loss and will add to the tank’s stealth characteristics. It reportedly took eight months to finalize the М-20UP-1, which was developed both by young and veteran Serbian engineers, who were engaged in the creation of the M-84 battle tank. The М-20UP-1 will form a base platform for other Serbian armored vehicles, as is the case with the Russian-made Armata platform. Earlier this year, similar plans were announced by India, which seeks to use the platform of its planned battle tank for as many as 11 different tracked vehicles. Vor allem das Preis-Leistungsverhältnis ist hier sehr interessant. Führt Serbien die 6.5mm Grendel ein ?